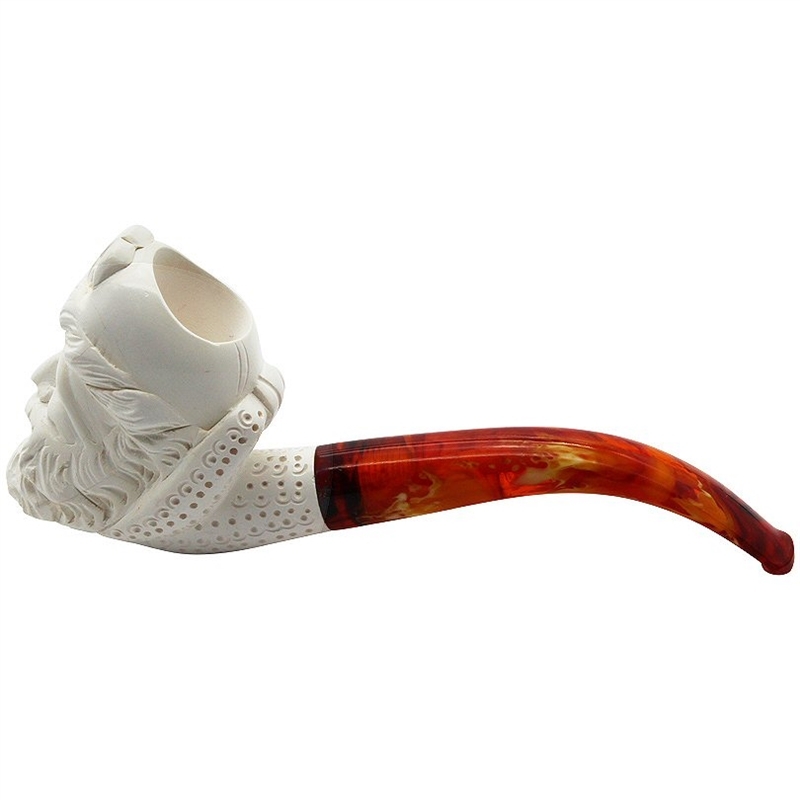 Hand Carved Pirate Lattice Shank Meerschaum Pipe - Laughing pirate must be hiding his booty someplace special! 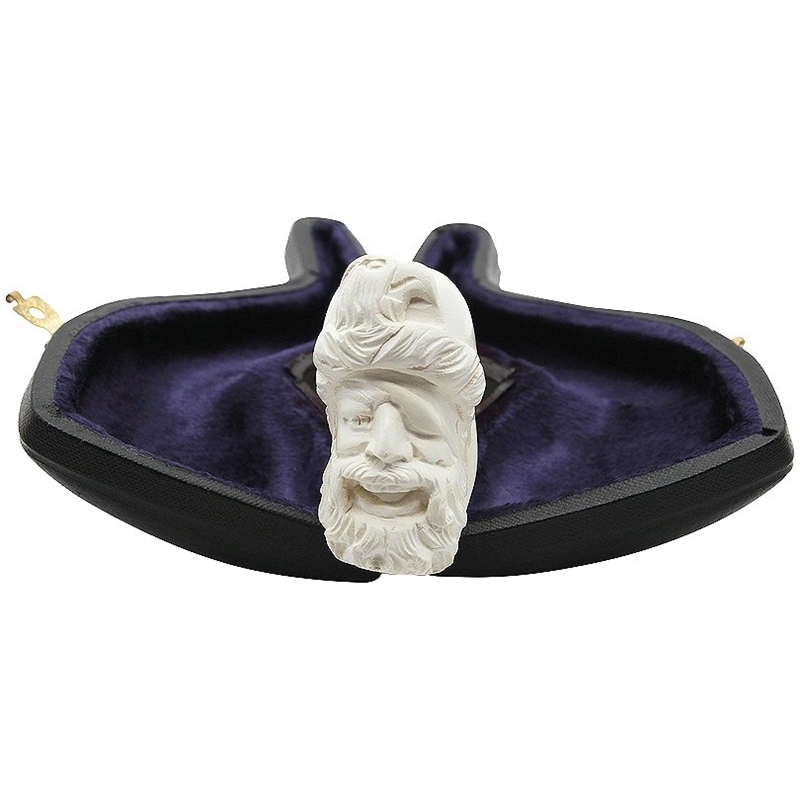 He sports an eye patch and an eagle beak cap. 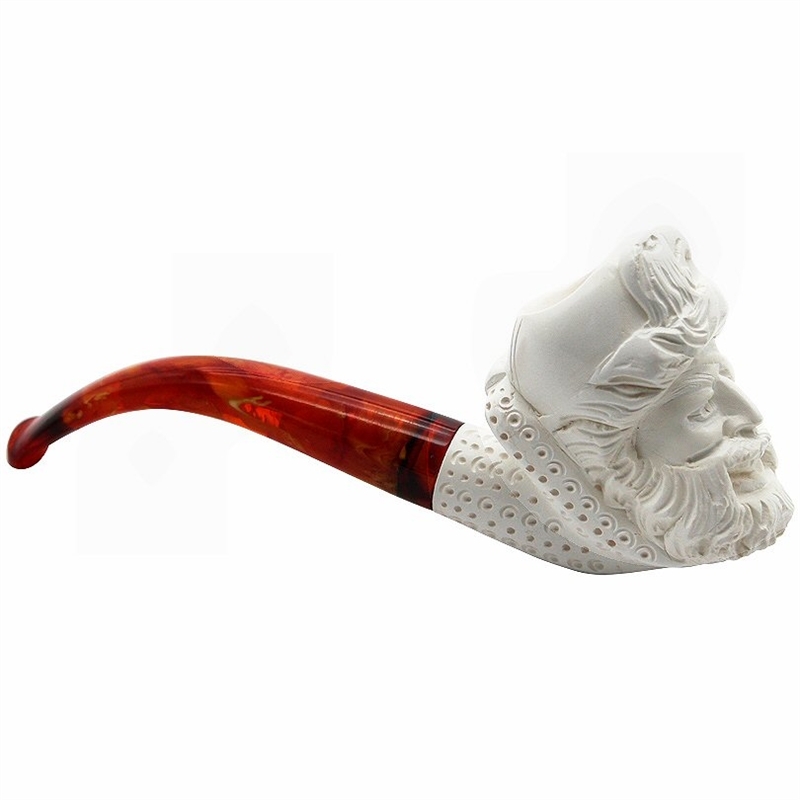 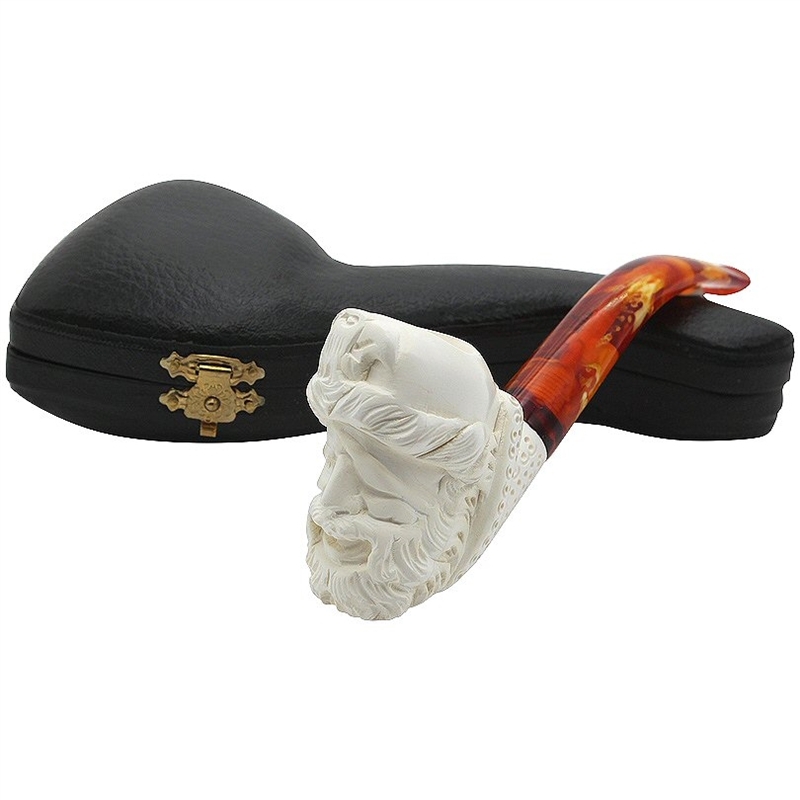 The shank of this pirate pipe is carved in delicate lattice and it attaches to a colorful marbled bent stem that is translucent.